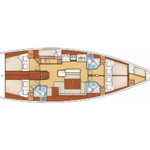 In 2011 has been built boat Oceanis 50 called Sifnos 50.4. This vessel is placed in port Lefkada in the region: Ionian Sea in Greece. You can take in up to 11 persons on the boat Sifnos 50.4. Layout of sleeping places is 11. 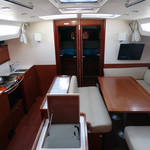 There are 6 cabins located below sailboat's deck. Sifnos 50.4 is equipped with 3 WC. 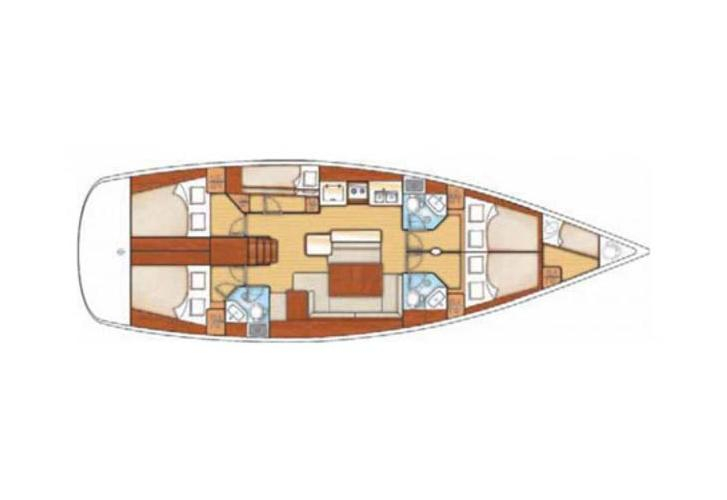 You can search other yachts by going to this section: Yacht charter Ionian Sea. In this sailing boat there is motor 75. 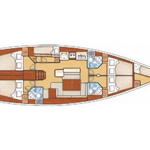 With 15.36 meters of lenght and 4.49 m of beam Sifnos 50.4 provides enough space for comfortable sailing. Oceanis 50 Sifnos 50.4 is equipped with: Radio / cd player, Autopilot, Gps plotter, Bow thruster, Solar panels, generator, Bimini top, Mainsail with lazy jack. . Security deposit is 2800.00 EUR. Use the search engine for search for our offer under the link: Yacht charter Lefkada.